Saint-Nicolas-de-la-Grave is in the Tarn-et-Garonne department. 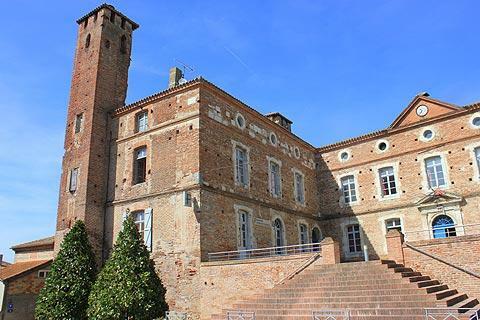 It is a small town with an unusual brick-built chateau where Richard the Lionheart once stayed. In the 12th century the monks of Moissac built a chateau at a strategic point on the left bank of the Garonne river. Gradually a town built up around the chateau that became Saint-Nicolas-de-la-Grave. 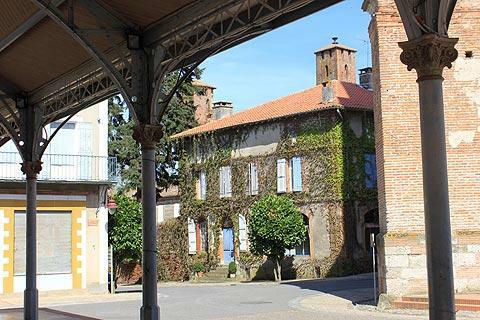 It is built in the pink brick common to the Gascony region and is also built in the grid formation popular at the time. The Chateau Richard Coeur de Lion (Castle of Richard the Lionheart) has evolved over the years. Originally quite a simple structure it was one of the sixteen castles conquered by Richard the Lionheart in the latter part of the 12th century. He ordered a tower to be built at the front of the castles which is now known as the 'Tour des Anglais' or 'Tower of the English' and the other towers and the connecting wings were added soon after. 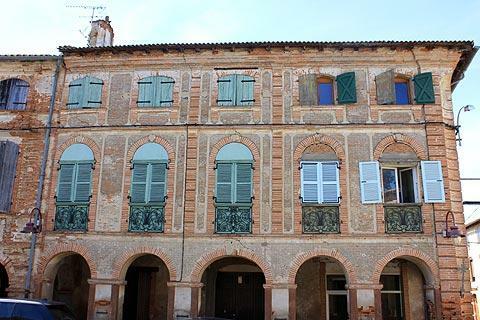 Because of its redbrick construction it looks more like a grand houses than a castle, and is now home to the town hall of Saint-Nicolas-de-la-Grave. Near to the castle is the Place de la Halle, the heart of the town and the main square. 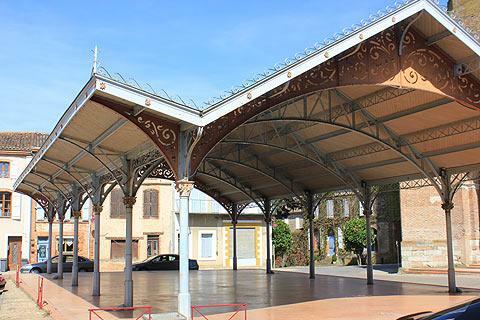 At the centre of this square is the metal built market hall built in 1898 to replace the original medieval market hall. France This Way comment: quite a few towns replaced their traditional market halls with large steel structures at this time and I have to say they are seldom an improvement on the originals: and that is also the case here, unfortunately, with the 'new' version rather lacking in character compared with the magnificent ancient market halls you can see in many French bastide towns. Around the edges of the square there are some very attractive buildings. 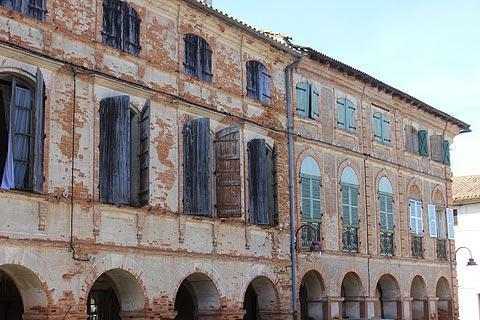 These large buildings with lots of large windows and lovely wooden shutters were once lived in by the notables of the town. The village Church of Saint-Nicolas is also on the square and was built in the late 17th century with an octagonal belltower. Also in Saint-Nicolas-de-la-Grave is a Cadillac Museum, the Musée Lamothe-Cadillac . You might think this is an odd place for a Cadillac museum but in fact Antoine Laumet, later known as Antoine Laumet de la Mothe, sieur de Cadillac (shortened to Antoine de la Mothe-Cadillac) was an explorer and founder of modern day Detroit. He was considered a local hero, (though now it is less sure if he was local hero or villain), and when Detroit became the centre of world automobile construction the founders of the Cadillac company honoured him by naming the company after him. In 1970 the Historical Society of Detroit gave Saint-Nicolas-de-la-Grave 20,000 dollars to buy the house in which Lamothe-Cadillac was born and turn it into a museum. Inside the museum are exhibits relating to the life of Lamothe Cadillac and about the development of the Cadillac Automobile Company. The museum is open in July and August and is free to visit. 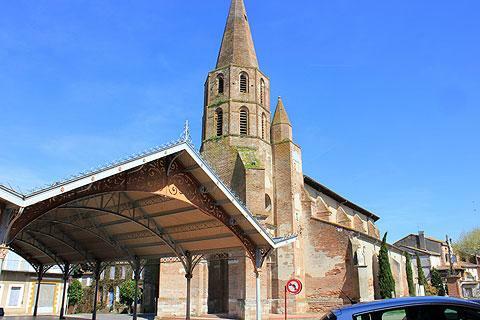 Moissac with its world-famous cloisters is just six kilometres away. Said to be the most beautiful cloisters in the world with its 76 marble columns and fine carvings it is not to be missed if you are in the area. 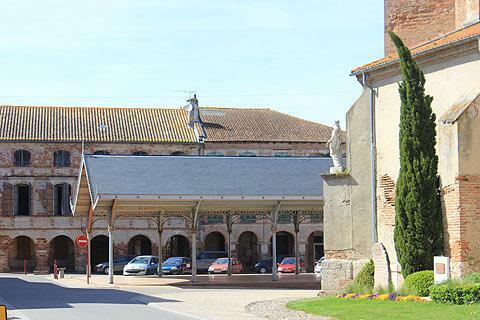 The 'most beautiful village' of Auvillar is also near Saint-Nicolas-de-la-Grave and here you can admire the very unusual circular market hall at the centre of the village.